Please do not forget that when cleaning any window, the most essential fact to take into consideration is your safety. You can never be too cautious especially when cleaning a glass window because there are a lot of things that can go wrong if you are not careful. If you have a two or more storey building with high windows, do not attempt to clean them without the necessary equipment. Ensure your feet are on solid ground ( Do not stand on chairs or stools). It is a sound idea to call a professional to do this. It is best if you do not clean on a sunny day because the sun will dry up the soapy water on the glass quickly and leave water streaks on your window panes. Why not pick a cloudy day or do your cleaning early in the morning, that way, the wind will dry up the water slowly. When cleaning the outside of your sash window, we recommend you use a mild dish washing liquid mixed with water and a soft sponge to wash and then use a squeegee when you are done to wipe off the soapy water from your window. The inside of the sash window can be cleaned the same way as the outside only you do not need a sponge and a squeegee. Use a damp towel instead. Do not use a paper towel because it will make your task difficult and unnecessarily stressful by moving the dirt from one place to another instead of cleaning. Whether you have a timber sash window, a UPVC model sash window or the aluminium sash window, it is important to give your windows some tender loving care occasionally. Not only does it make your environment clean, but it also gives you the opportunity to inspect the parts of your sash windows. While cleaning, be attentive to detect signs of wear and tear, rotting timber and fraying cord. We advise that you take steps towards fixing this damage if you find any on your window to ensure your window works well and if this damage can not be repaired, the sash window can be replaced. 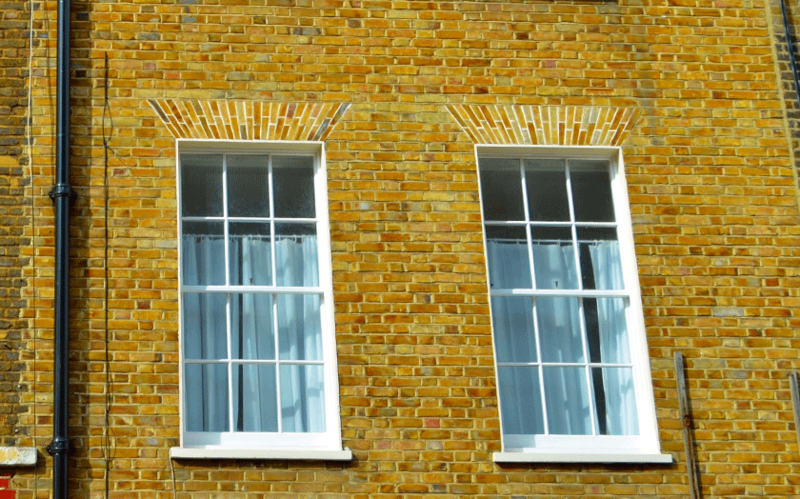 While you are inspecting, it is a good time to determine if your timber sash window needs repainting. Painting, however, should be done after all repairs have been done. If repairs have been made and you want to do it yourself, here are some tips to guide you through the process. Here is a simple guide to painting your timber sash windows. Remove all sash furniture including the window fasteners and sash handles then wash down the previous paintwork with detergent or soda. Apply an oil-based primer with a brush to get the best painting result. You can use an oil-based paint or a water-based paint on your timber sash window. Ensure to double coat both on the inside and outside. Once the windows are painted, let them dry before re-installing them. Do not wash for a month so the paint can cure. It is necessary to know that, you should not clean and paint your sash windows in the sun. Do you still have questions, then you should give us a call, and our team of experts will be delighted to help you figure them out.